The Library Resource Centre is staffed by a professional librarian (Mrs Emery) and 2 part time library assistants. The LRC runs with the help of a team of almost 40 student library helpers plus a parent volunteer. The library is open every break and lunch time, in the morning before school begins and after school until 4:30pm. Alongside the library’s 11,000 fiction, non-fiction and reference books, there are twelve desktop computers, sixteen iPads, printers and photocopying facilities. There is a quiet area with soft seating for reading, and a Sixth Form study space upstairs. The LRC has a large collection of non-fiction books on all topics, with many especially selected to support and accompany curriculum areas. Students can use the library catalogue, SearchStar, to search for useful books. We stock a wide range of fiction and non-fiction books to support students’ reading for pleasure. Our collection caters for all tastes and abilities, including graphic novels, manga, and shorter books for reluctant readers. Our team strive to find the perfect book for every student. Years 7, 8 and 9 are all welcome at the weekly book club, which provides a variety of activities throughout the year, with the aim of encouraging wider reading and book chat! Sixth Form reading group meet half termly at Lichfield public library. The LRC is regularly involved in local, national, and international events to celebrate books and reading, including World Book Day, Storytelling Week, the Carnegie Medal for children’s books, the Staffordshire Young Teen Fiction Prize (staffordshire.gov.uk/ytf), and the Stan Lee Excelsior Prize for comic books. 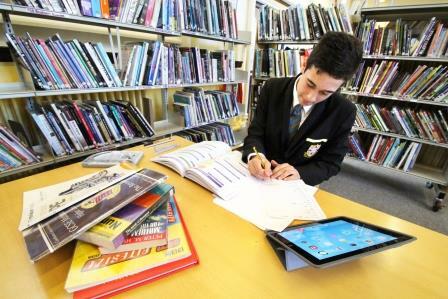 Our Library Resource Centre has everything students could need to support their studies at Sixth Form level. 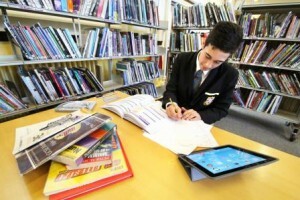 Sixth form students can borrow up to 6 items for one month at a time. Staff are available at all times to support students with their research/reading needs.